Come and play one of the best golf courses the Northern Beaches has to offer and see why we’ve been ranked as one of Australia’s best courses for under $50. A wonderful place to meet friends and family for a leisurely lunch, quiet coffee or just sit and watch the world and whales go by Mona Vale Beach. The perfect venue to host your upcoming event. Speak to us about how we can make your function one to remember. We get a hole in one every time! We do.. I Do’s ! Our Ceremony location and Function rooms overlook the lush Golf Course, as well as having a commanding view across the Pacific Ocean. 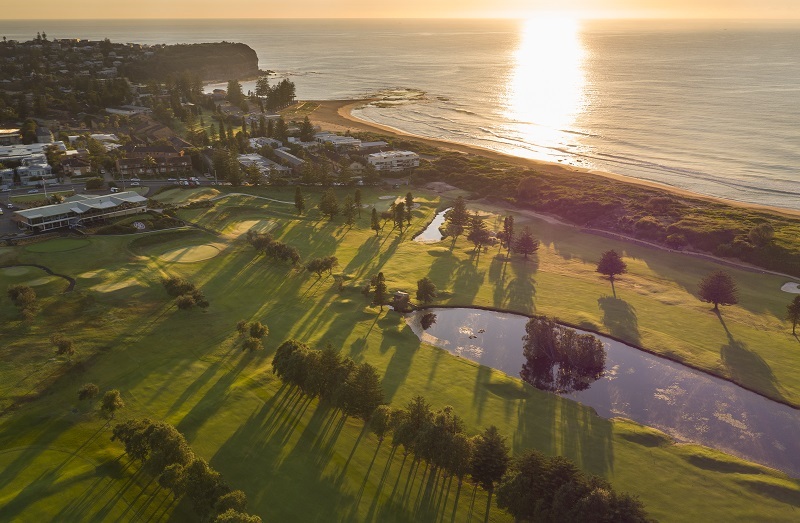 See for yourself why Mona Vale Golf Club is the most spectacular location to play golf on the Northern Beaches. My whole family and I wanted to thank you wholeheartedly for running such an amazing wedding. I’m sure brides can tend to be a little bias when it comes to weddings bit we have received overwhelming feedback from all our friends and family regarding the venue, amazing food and how professional and friendly all the staff were on the day/night. We couldn’t be happier with everything that came together on your end, I just hope all our guests were equally friendly with all of your staff. Thank you for helping Kirsty to organise our very successful ‘Molly Temple Golf Day’ on Friday. Kirsty being a non golfer was very appreciative of your assistance and guidance, it was an excellent day stress free. All the players were so impressed they want to come back next year. Please pencil us in for a Friday around the same time next year and will confirm as soon as we can. Just wanted to pass on my sincere thanks to the team at Mona Vale Golf Course. We are on a golf holiday from Florida USA and must say that this is one of the best courses we have played in Sydney so far. From the time we arrived to the time we left, the service we received was outstanding.The fairways were like carpet, but the view will be the lasting memory. We will be back for sure! We have a large group of golfers who regularly play on Australia Day. For whatever reason, our preferred golf club were not forthcoming so we sought an alternate venue. I’m pleased to advise from the moment I discussed our requirements with Tegan I knew we were in good hands. Mona Vale Golf Club went out of their way to accommodate us all with a minimum of fuss. Tegan organised our group booking with carts, the pro shop had all the markers placed out on the course, which was in prime condition. Simon had our tables arranged for a beautiful luncheon overlooking the fantastic course. All the staff are to be congratulated, from the office, pro shop and bar you all made us feel welcome. Thanks from the whole group, we all wish to return next Australia Day.